French crystal maker Baccarat held an exhibition in Seoul from July 13-18 in collaboration with South Korean creative director Kan Ho-sup, featuring the blend of Eastern and Western beauty. Under the theme “the beauty created by combining Baccarat and a scroll dress,” the exhibition presented a collection of Baccarat’s crystal pieces and director Kan’s artworks. The scroll dresses are parts of Kan’s signature artworks, which has gained a worldwide reputation among the fashion industry. The dresses were showcased in top museums and schools, such as the Museum of Decorative Arts in France, Museum Siam in Thailand, University of the Arts London and Beijing Institute of Fashion Technology. “Baccarat and the scroll dress share the common points, as they both transcend the boundaries of space and time, and infuse the inspiration from the past on present days,” director Kan said. 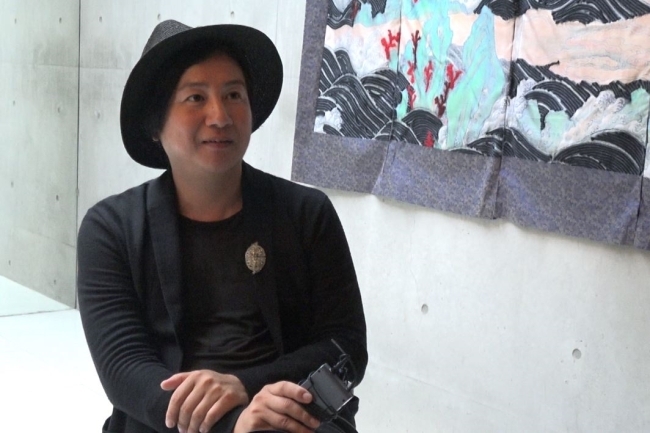 Kan has been working as a fashion designer and a professor at Hongik University. He also serves as a creative director for French leather goods and accessories brand Louis Quatorze.